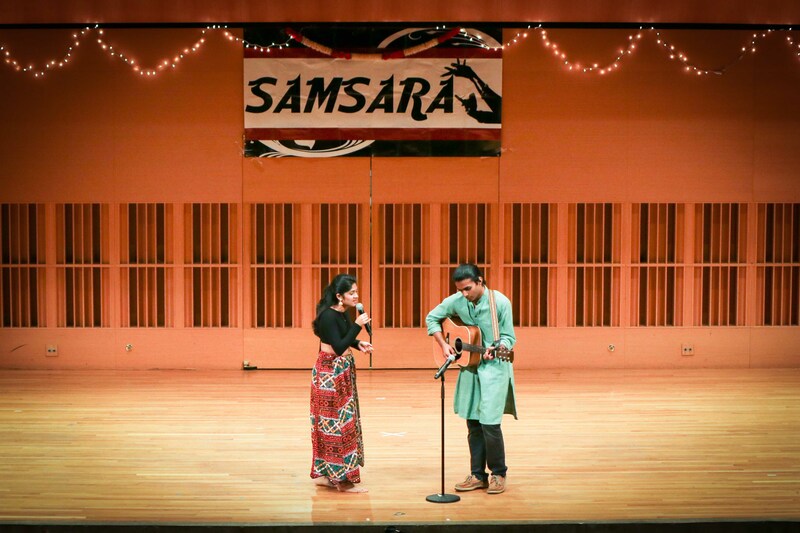 A multicultural, multi-genre performance that attracts hundreds of students every year, Samsara—the most recent version of which occurred this past Saturday—is one of the best ways to experience South Asian culture on campus. 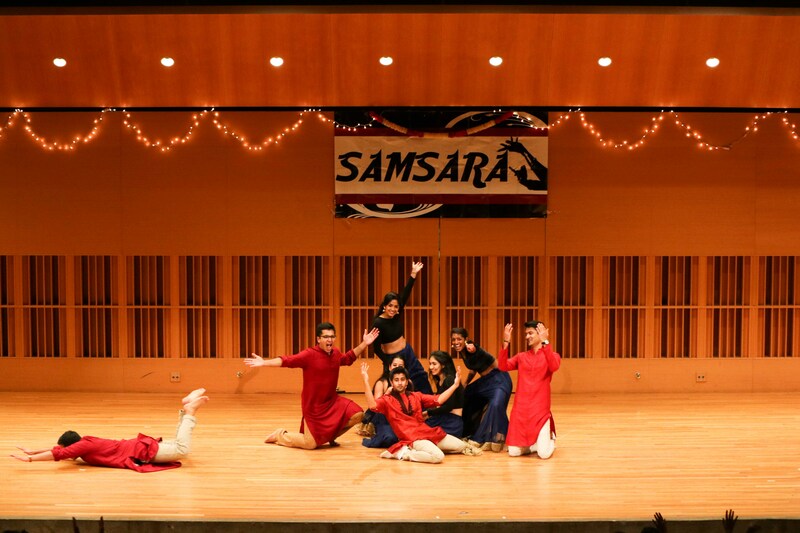 Samsara is organized every year by Shakti, the University’s South Asian student association, to showcase South Asian art and culture through a wide variety of student performances which include music, poetry, and dancing. 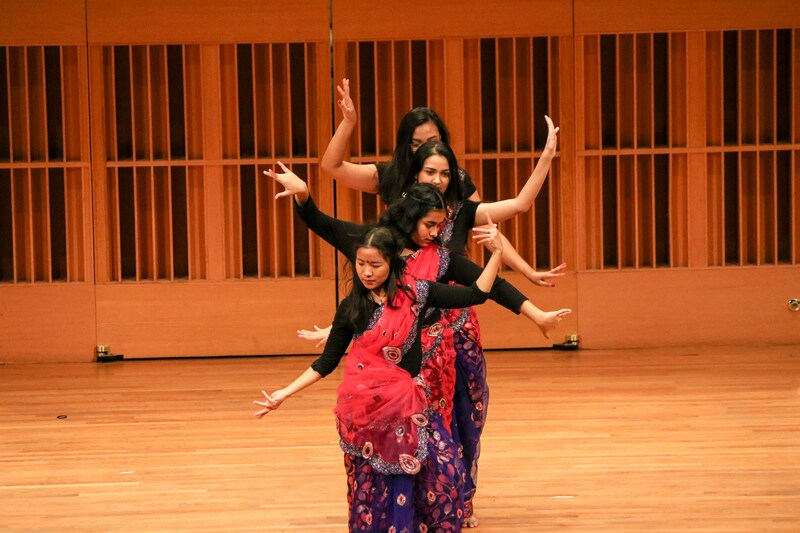 These performances are interspersed with scenes from a lengthy skit, which is written by Shakti members and generally addresses topics relevant to the lives of South Asian students on campus. This year’s skit, which starred first-year students Tanvi Punja, Roshaan Siddiqui, and Tashfia Jilu as—fittingly enough—a trio of nervous first-year students at Wesleyan University, dealt with themes of diversity and stereotyping within the greater South Asian community. In a series of extended flashbacks, the skit followed the three protagonists on their respective journeys to college, exploring their differing cultural backgrounds and familial expectations. Arjun Nayar ’19 expressed similar sentiments about the show’s increased focus on the diversity of South Asian cultures and beliefs. 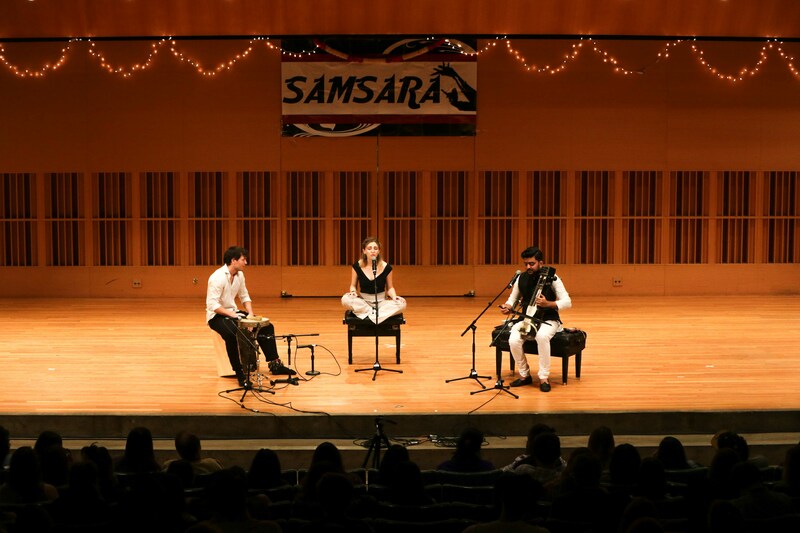 While in past years, Samsara has generally occurred towards the beginning of December, this year’s show took place on Nov. 3, nearly a month earlier than usual, due to scheduling conflicts with other events in Crowell Concert Hall. This change in timing led to an accelerated rehearsal schedule. Other members of Shakti commented on their own personal challenges during the rehearsal process, which ranged from keeping up at dance practices to memorizing lines. Perhaps the most beloved Samsara tradition is the class dances, which are choreographed separately by Shakti members of each class year. These dances are one of the most accessible ways to get involved in Samsara, since they are intended for dancers of all skill levels, but that doesn’t mean they don’t require hard work. For Shakti President Medha Swaminathan ’19, maintaining a balance between overseeing Samsara as a whole and focusing on her own acts was the aspect of the show that took the most effort. Despite these challenges, Shakti members were united in the sentiment that their months of hard work were worth the satisfaction of a successful show. Other students emphasized the group bonding that occurs as a result of Samsara. Aside from the many ways it benefits members of Shakti, Samsara also plays a role in educating the general student population, showcasing the vibrancy and diversity of South Asian culture to people who might not otherwise seek out those types of art. Despite being one of the most widely publicized and attended events hosted by Shakti, Samsara is far from the only interaction the organization has with the rest of the student body. Shakti also organizes a wide variety of fundraisers, panels, and smaller cultural events throughout the year, and Naeem was quick to point out that Samsara is just one small part of the organization’s role on campus.